It's Girl Scout Cookie time and the whole country is eagerly awaiting their neighborhood Girl Scouts to be out and about selling those much loved boxes of cookie temptations. I confess to an addiction to the Samoa Cookie, that combination of caramel, chocolate and coconut is my downfall. I will buy - and bogart - several boxes whenever given the opportunity. Sadly, I live out in the country and no bands of roving uniformed cookie dealers are roaming my hood looking to score a sale; about the only thing that roams out here are coyotes, javalina and the occasional mountain lion. If I want my Samoa Cookie fix, I have to get lucky and find an enterprising Girl Scout outside my local grocery store or feed my habit another way. So far this year, no Girl Scouts or Samoa Cookies have crossed my path. 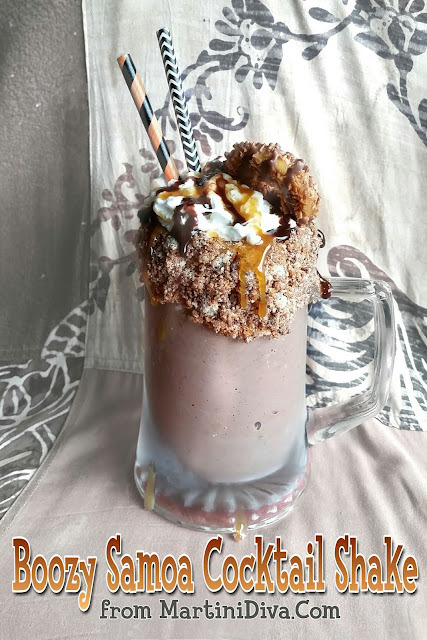 Disappointed but not deterred, I have come up with an alternative way to get my Samoa high and it involves booze, chocolate ice cream and fake Samoas, aka Keebler's Coconut Dreams. 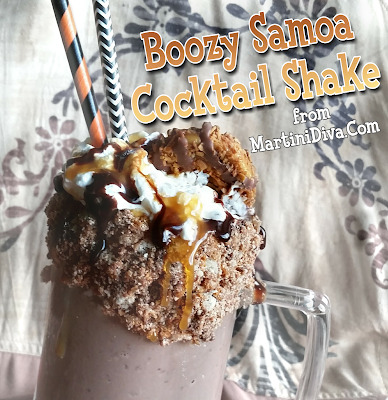 On my honor, I will do my best to enjoy this boozy chocolate, coconut and caramel blizzard-y style shake. Take that you missing neighborhood Girl Scouts. Garnish: Rim glass with caramel syrup then dip in MORE crushed Samoa style cookies. Top with whipped cream and add more crushed cookies on top. Yes, you can also drizzle on extra chocolate and caramel syrup! DIRECTIONS Blend the ingredients until smooth and creamy, top with whipped cream, garnish, add straw and serve. How's that for a Girl Scout Cookie hack? 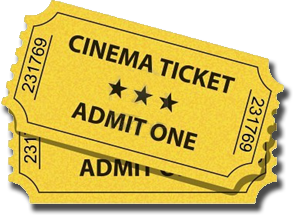 I'm a huge movie fan, cinemaphile and film buff. Popcorn in hand, I dig into my vintage movie library almost daily, a week rarely goes by without a trip to the movie theater for the latest flicks and I have Netflix and Amazon Prime plugged into all my devices. I also catch nearly every movie awards show that's televised from The Oscars and The Golden Globes to The People's Choice Awards. Mix that cinematic passion up with my love of cocktails and you had to know this was coming. 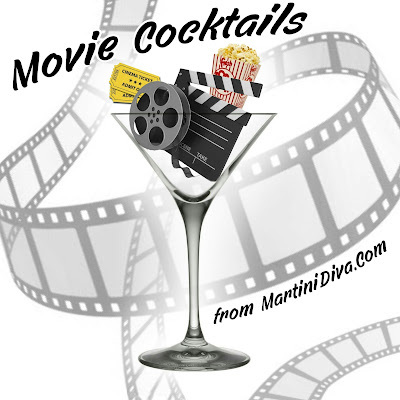 Bookmark this page if you're a cocktails and movies fan, I'm always adding more.